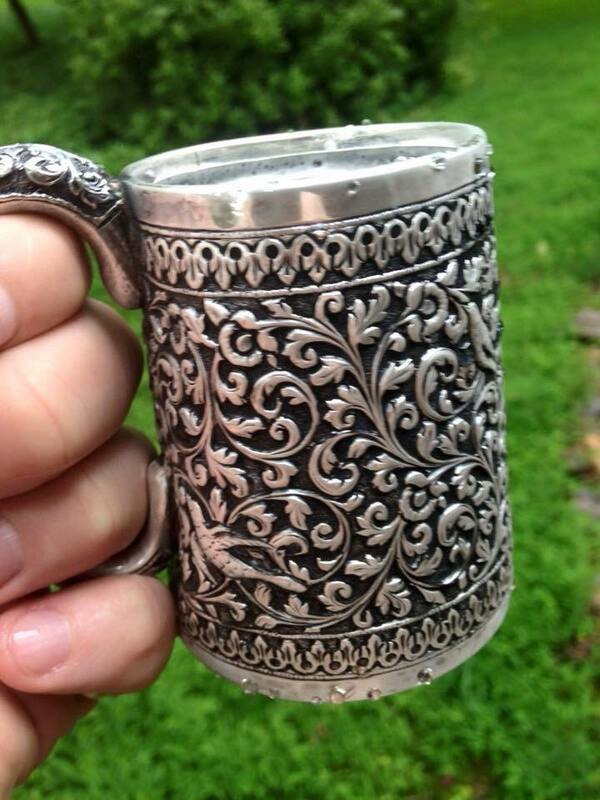 Rare ca 1880 Indian colonial silver mug made by a master. 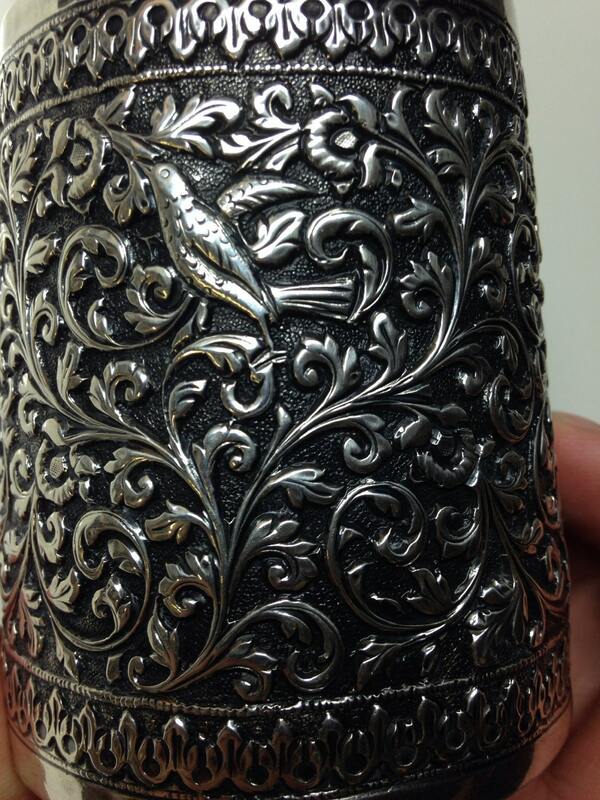 A very attractive foliate repousse beaker with geometric borders. 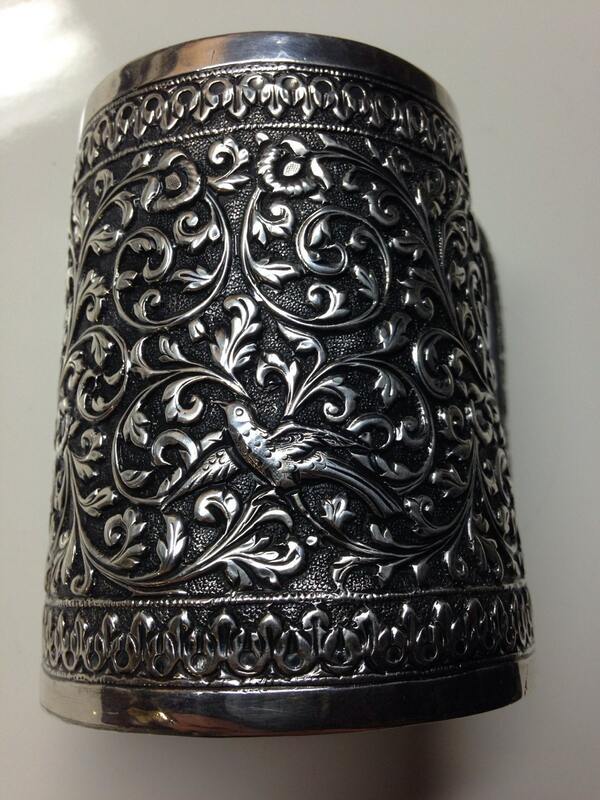 The silver content of this item is believed to be Sterling. Weight is 201 grams. 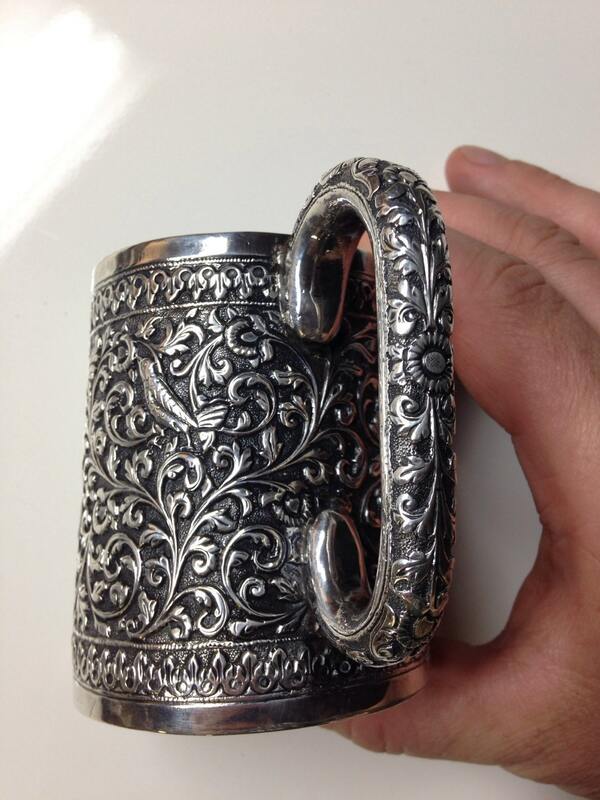 Dimensions of this cup are about 86mm tall x 98mm wide at the widest. Holds 8 ounces. 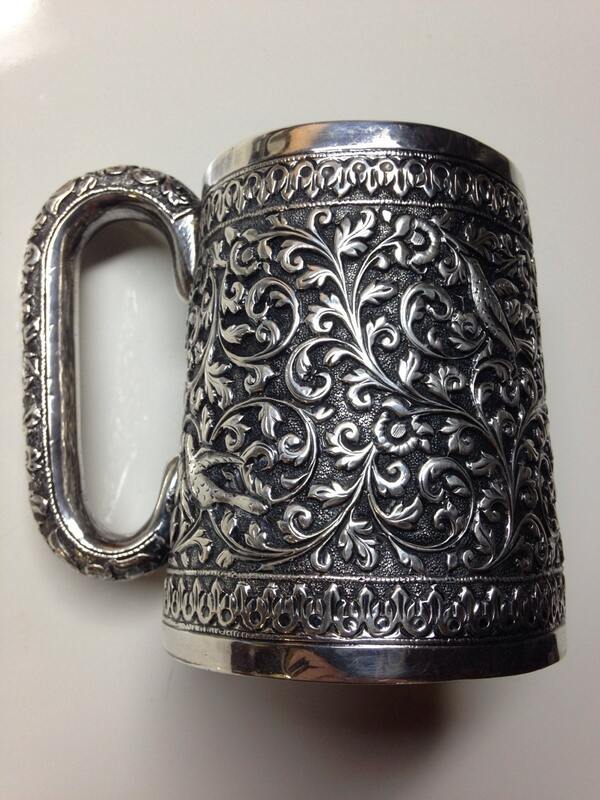 A superb example of the craftsmanship of the Indian silversmith. Condition is excellent with a fine finish. Museum quality piece of the highest magnitude.